"We're going to go on the 50-yard-line..."
After an atheist activist group’s complaint halted a Pennsylvania high school football team’s nearly five-decade-old prayer tradition, the student players were faced with a key question: Would they continue to invoke God without their coach? 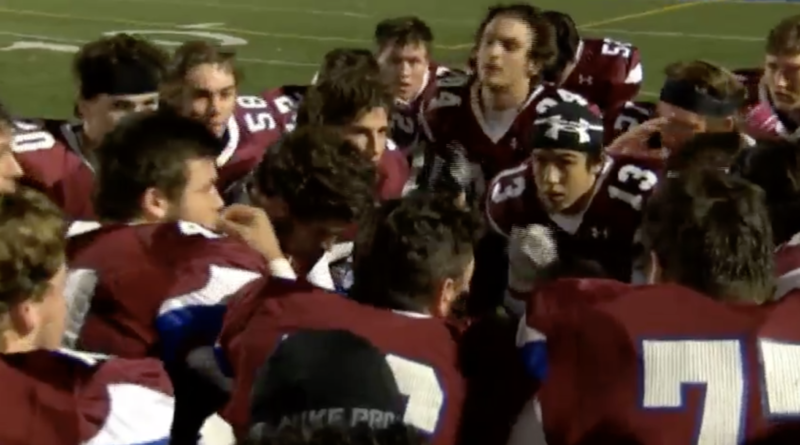 Dunmore High School football coach Jack Henzes had reportedly been leading the team in prayer before kick-off each game for the past 45 years before The Freedom From Religion Foundation stepped in to complain over the practice, WBRE-TV reported. Henzes told WBRE-TV that the team would pray before games that no one would get hurt on the field, though he said none of the players were ever forced to pray or participate. But the Dunmore School District stepped in to stop the prayer practice after receiving the Freedom From Religion Foundation letter back in June. While coach-led prayer was halted, players have since decided to continue on with the tradition on their own. So, the teammates recently took a bow and led prayer on the field — an indisputably legal act, seeing as student-led prayer is allowed at public schools. Watch it unfold here. Some parents and locals aren’t happy that the district stepped in to end the coach-led prayers, though members of the team seem bent on continuing with student-led invocations.